I especially like the two cheetahs off in the distance keeping an eye on things. And speaking of keeping an eye on us... this guy had quite the stare. I was happy he was behind the fence. But this friendly soul was my kind of animal. Soaking up the rays! While visiting a zoo is a great introduction to exotic animals, I have always wanted to go on an African safari to experience the beauty of animals in their natural habitat. (Who doesn't have this on their bucket list?) Fortunately, some blogs I love have been sharing a few photos from their safari experiences lately so at least I get a sneak peak into the beauty of seeing these animals in the wild. 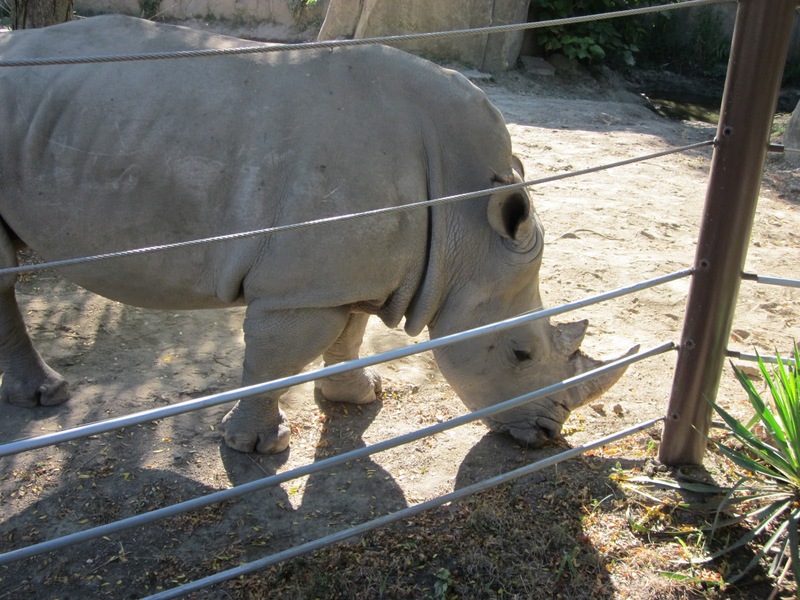 If you're planning a trip to the Indianapolis Zoo, I posted some tips here. Awesome Cheetah Shot! We finally got a cheetah exhibit in Singapore, but the cats are often so hot they just lie in the shade and it is tough to get a good view. Looks like a great zoo! Thanks! 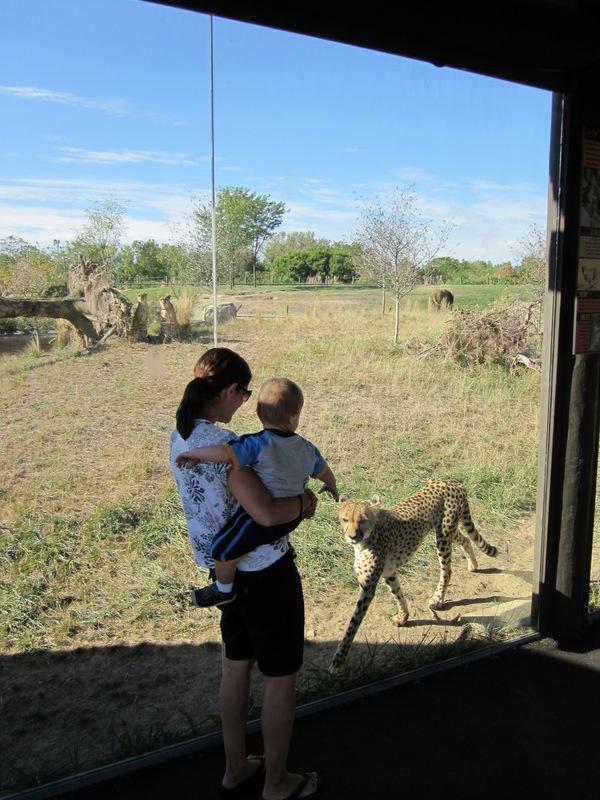 One our first trip to the zoo, the cheetahs were pretty lethargic, like you've experienced. But this fall, when it was cooler, they walked right up to us. It was awesome! Thanks for your comment! You got some real good close-ups! The cheetah is beautiful. I'm with Kristy - great Cheetah shot. It took me a few seconds to realise there was glass between you guys and the Cheetah. It looks like a fabulous zoo. Thanks for the mention! Those are great pictures...were you using a zoom lens for the last two or were you really that close? This should bring back some childhood memories for everyone! I agree with everyone else--that cheetah picture rocks! 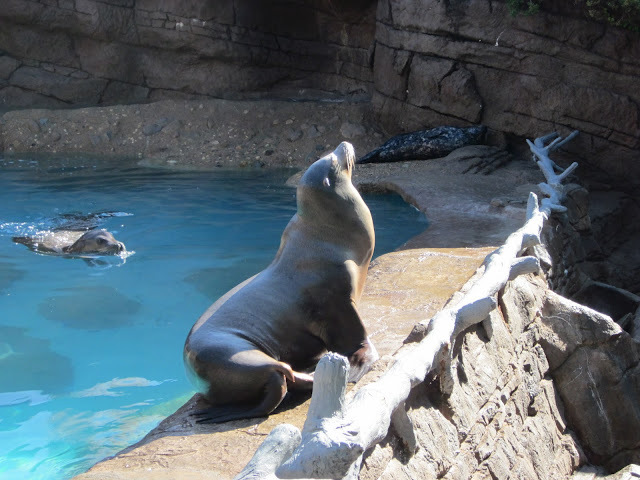 Your post makes me want to go to the zoo.